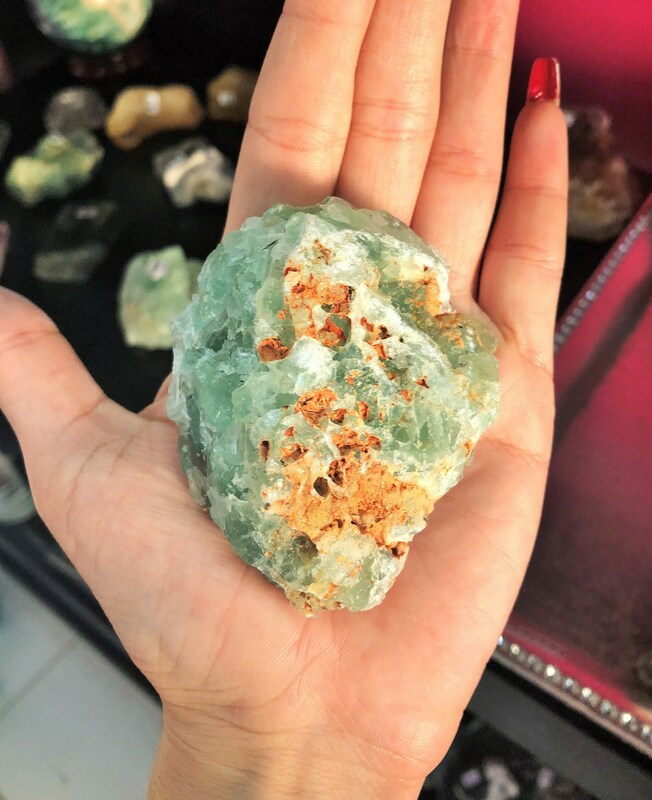 Receive this lovely high quality raw green fluorite stone. 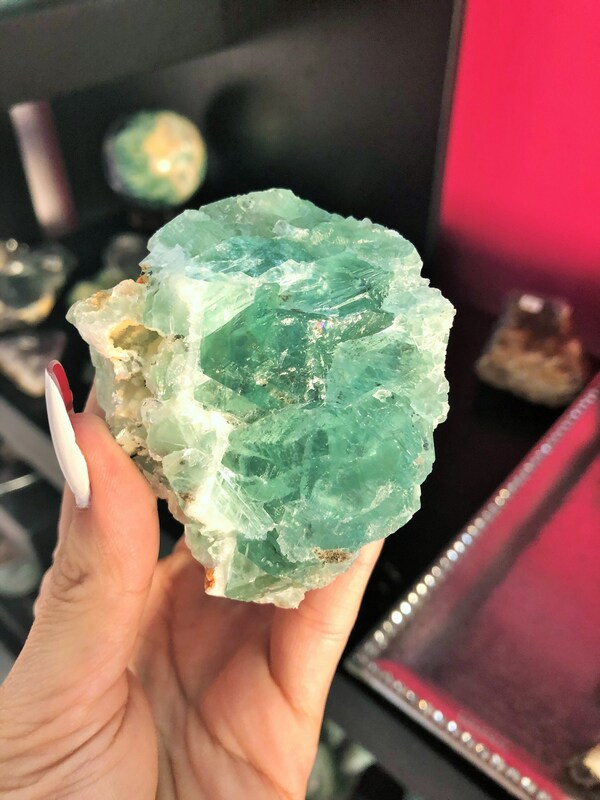 Placing a fluorite crystal in your space brings balance and harmony, restoring order to any physical or energetic chaos. 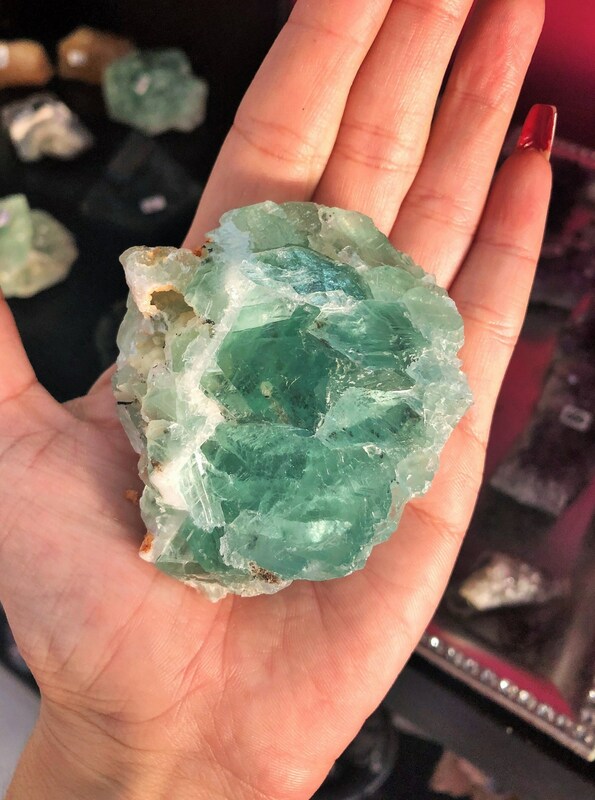 Fluorite's are ideal for your bedroom, living area and other spaces in your home. Think of them as "energetic vacuum cleaners," cleaning and clearing your environment to neutralize any harmful or negative vibrations. It is a wonderful healing crystal for parents when their kids are testing their patience. 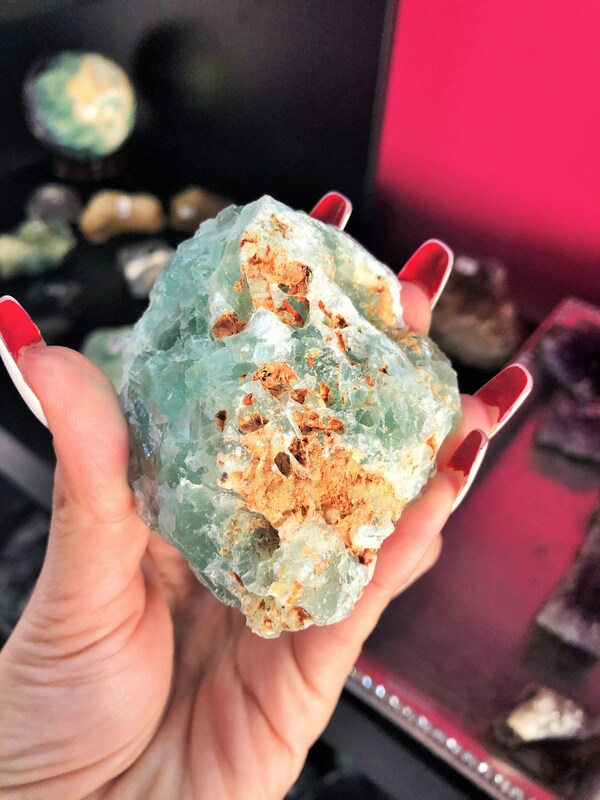 Known for their soul-soothing positive energy force, fluorite's are a favorite crystal for anyone looking for a more positive outlook on life. 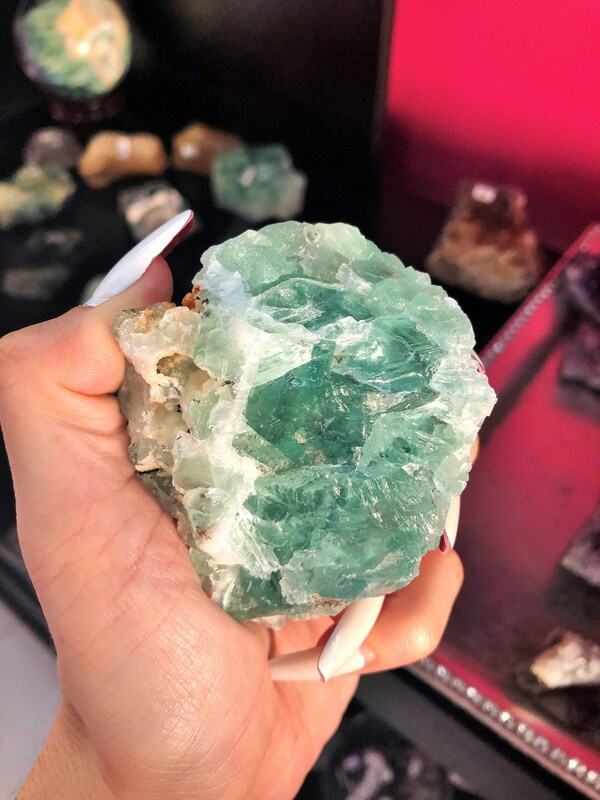 Listing is for the SAME Raw Green Fluorite seen in the pictures. Quick shipping. Thank you. Xxxxxx.